Born, Shoreham-by-sea Sussex in 1944 Marion loved painting flowers from a very young age. She attended art college and studied graphic design. This was followed by 7 years working in an art studio in London. 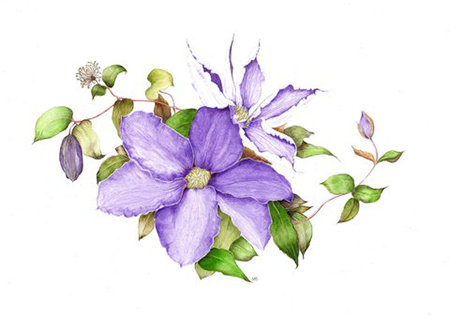 Marion rediscovered her first love of flower painting, leading to botanical work which she finds extremely challenging and rewarding. She was accepted as a member of VBA in 2008. Born, Shoreham-by-sea Sussex in 1944 Marion loved painting flowers from a very young age. She attended art college and studied graphic design. This was followed by 7 years working in an art studio in London. 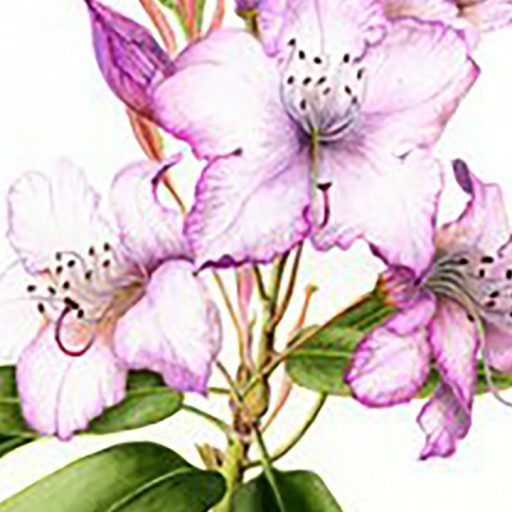 Marriage, three children, and a move to the Isle of Wight, plus a variety of other pursuits rather curtailed any serious art activities but after attending various classes and courses over the years, Marion rediscovered her first love of flower painting, leading to botanical work which she finds extremely challenging and rewarding. She was accepted as a member of VBA in 2008.